As lawmakers and the Trump administration inch closer toward final legislation to expand the VA Choice healthcare program, the Veterans Affairs Department initiated another shakeup Wednesday over healthcare standards at its medical centers. VA Secretary Dr. David Shulkin announced a sweeping overhaul of VA medical centers, including the forthcoming retirement of the directors of two veterans integrated service networks. "Secretary Shulkin made very clear following a news conference this morning, that the IG's interim report demonstrated failures on a number of levels including medical facilities, hospital networks, and the VA Central Office," the VA wrote in a news release. Shulkin made the announcements at the Washington Medical Center, the site called out this week in a new, scathing report from the VA's Office of the Inspector General that said the VA's flagship center consistently failed to meet quality of care, fiscal and management standards. Problems around equipment led to excruciating situations described in detail, such as a skin grafting procedure that had to be done manually and led to the graft not adhering. "The dysfunctions identified at the Medical Center were prevalent and deeply intertwined," the report states. "They could not be attributed to any single individual, but rather were the result of inadequate actions and accountability across many services and positions. The OIG encountered a culture of complacency among VA and Veterans Health Administration leaders at multiple levels who failed to address previously identified serious issues with a sense of urgency or purpose." The VA in response has listed out improvements made since the Office of Inspector General released its first interim report on the medical center last April. 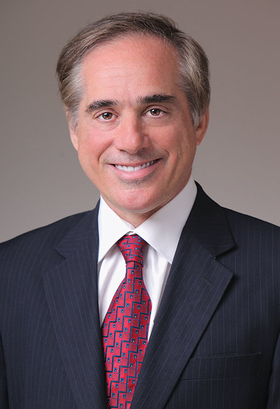 Shulkin has already replaced several of the leading officials at the medical center. In April he appointed his former senior adviser Lawrence Connell as acting director. But the offensive move came today as Shulkin tries to end the lagging complaints and scandals around VA medical centers. Among the initiatives he mentioned were unannounced visits to VA medical facilities by outside auditors. He said he is restructuring the VA's central office and setting up a new governance oversight for medical centers, as well as holding VA-wide staffing reviews and "decentralizing" accountability. The shakeup in the wake of media reports that officials at the VA have sought Shulkin's ouster. It also comes as Congress tries to conclude its reforms to the VA Choice program that have been on hold since December as the White House, Shulkin and senators wrestle over compromises on when and why the VA should release veterans to private providers. Dr. Carolyn Clancy, executive in charge in the VA's office of the undersecretary for health, said in an interview on Tuesday that the legislation is expected any day now. The Senate VA Committee's ranking Democrat, Jon Tester of Montana, said Tuesday that the legislation is ready. "We are just waiting for the secretary to jump on board," Tester said. Yet the details of a provision pushed by Sen. Jerry Moran (R-Kan.) that would clarify a veteran could opt for a private provider if the VA medical center doesn't meet certain designated access standards set by Shulkin and approved by Congress still has not been put on paper, according to lawmakers, even though the principles have been agreed to. "The only hold-up that I know is putting words on paper," Moran said. "So far, we've not seen legislative text, so we're just making sure the legislative text is what everybody agreed to." U.S. Rep. Phil Roe (R-Tenn.), who chairs the House VA Committee, confirmed the current situation for the bill but added that he expects the legislation to wrap up soon. "It's still being worked out," Roe said. A spokesperson for the VA said the department hasn't seen any finished legislation. Meanwhile, heavy lobbying by the Concerned Vets for America, a group funded by the conservative donors Charles and David Koch, has raised alarms among some House Democrats. Illinois Rep. Jan Schakowsky on Tuesday said she and other lawmakers are concerned about increased privatization of the VA, and she is watching the moves in Congress. "Absolutely there will be an effort to push back on privatization," Schakowsky said. Roe pushed back against the idea that there will be a flood of veterans opting for private care because "most veterans want to go to the VA."
Dave McIntyre, CEO of TriWest—a third-party payer with a VA Choice contract—said last month that he sees thousands of new veterans coming into the program. His company contracts with 200,000 providers in 28 states. Moran said ultimately he wants to make sure Congress has a say in how the VA determines which veterans can go to community providers. "My goal from the beginning is not to take VA out of the process, but to make sure when they develop the criteria we have input, as Congress, into that criteria," Moran said. "And then they must follow the criteria so that when a veteran wants that, the VA must say, 'Yes.'?"